Cloud of Starlings and Jamie Martin, and there will be a cash prize of 50 quid for the best costume! Gregor Coleman, Gordon Airlie & Jack Balfour. 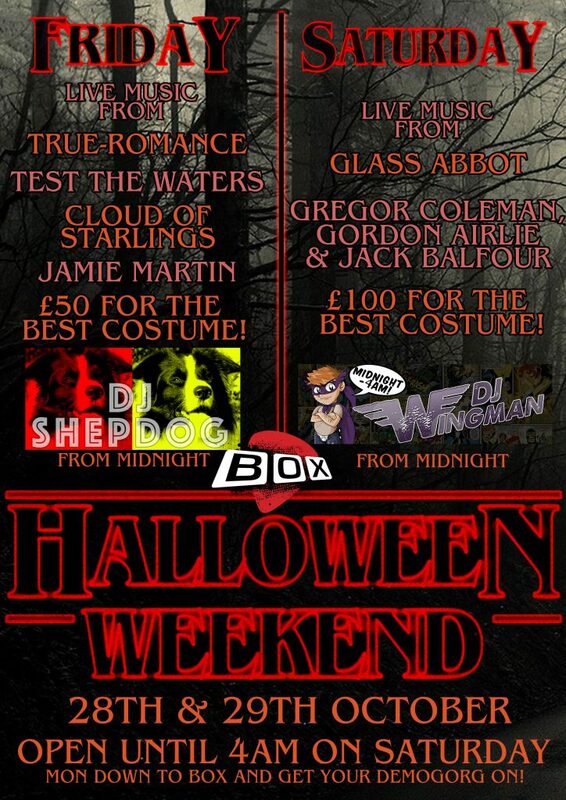 There will also be a £100 prize for best costume and we are open until 4am, so get creative!